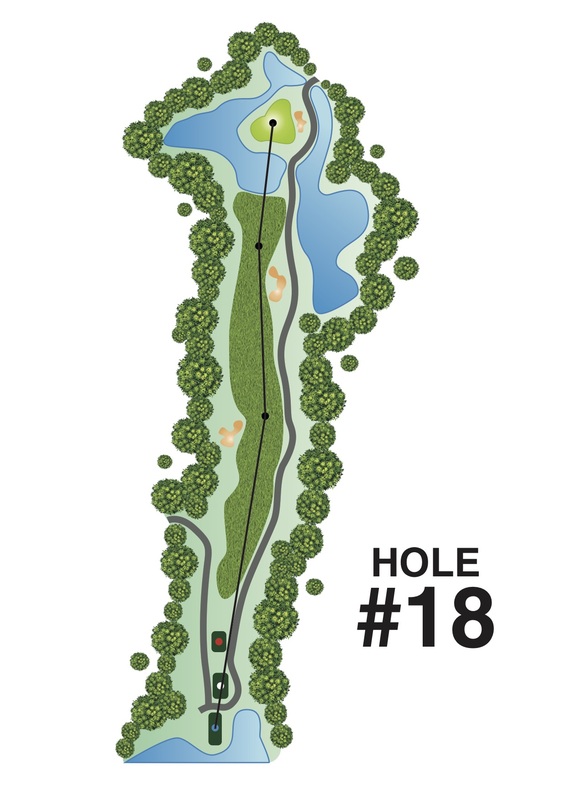 In order to lengthen the hole, the blue tee has been moved 20m further to the back. Other tees are enlarged. The fairway has been entirely reshaped and a new bunker is added on the left. The old bunker on the right is reconstructed. Currently, both the fairway and the reconstructed bunker are prominent if viewed from the tees. The green is now enlarged and provides a more challenging and interesting putt. At the front left, a pin position is located close to the lake edge. At the rear right, putts can be observed from the golfers' terrace. The pond in front of the green has been widened with wetland plants enhancing its location. Golfers also get to enjoy the magnificent view of the pond and waterfall from the golfers' terrace.